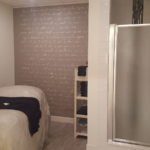 All of our Massage Therapists are registered and licensed, and are trained with different techniques for relaxation, therapeutic, trigger point, sports and pregnancy massage. We are an equal opportunity company and employ both female and male therapists. Let us know if you have a therapist preference at the time of booking. Massage goes by time, as listed below. 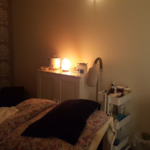 You and your therapist will discuss the type of massage you would like as well as the focus areas if any. 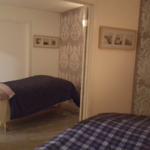 Enjoy a relaxing or therapeutic massage with your partner, side by side. All prices are based on two people, not singles. A natural therapy in which warmed stones are positioned on parts of the client’s body to maximize the therapeutic benefit. These stones are heated in sanitizing water before use. Individuals with certain conditions–including pregnant women and people with high blood pressure–are advised to avoid this type of therapy. *Check your extended medical package prior to your appointment, as coverage differs with each company. We do not direct bill but will provide you with the necessary receipts for coverage. Grab your massage card today! Fill up your card and receive a $20 credit towards your next massage! Ask us for more details. This card cannot apply to gift certificate redemption or to any other discounts, as those massages would already be discounted. 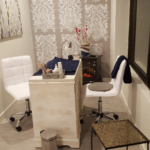 Copyright | 2004 - 2019 | Ahava Day Spa | Winner of 2017 & 2019 Alberta Consumer Choice Awards and the 2014-15 Edmonton Journal Reader’s Choice for Best Spa. Sign up to receive our Monthly Spa Specials! Ahava Day Spa opened in 2001 and has been dedicated to your relaxation since the day we opened our doors.